Barbizon Midwest Review: Barbizon Midwest's Patrick Thompson is Driving Down the Road to Success! Barbizon Midwest's Patrick Thompson is Driving Down the Road to Success! 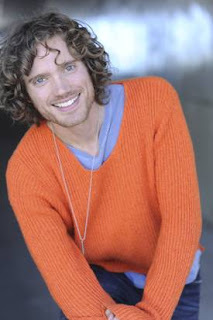 Barbizon Midwest's Patrick Thompson is quickly becoming an industry hit! This young actor's most recent project, a Kia car commercial, has everyone buzzing about his talent! Patrick was featured in the commercial as the driver of a Kia Rio, where he is shown zooming through a city and enjoying the great new car. Along with his role in the commercial, some of Patrick's other work includes advertisements for Target, Sony, Paul Mitchell and Samsung, magazine work for British Vogue and German GQ, a runway show in Paris for Louis Vuitton and numerous other commercials, music videos and short films, some of which have earned him award nominations! Patrick has been busy since his Barbizon graduation and continues to do great work as an actor and model for companies and designers all over the world! Be sure to check out the link below to see his Kia commercial. With talent like his, Patrick is sure to be unstoppable!